You all already know that I am a big fan of postpartum sitz baths!They were a life saver for me after childbirth. I found about postpartum baths post-delivery after my desperate attempt to get some relief down there. The second time around I was relatively better prepared and I even got some herbal postpartum bath mixtures to use. Because Herbal Sitz baths are the BEST! I love them so much that I recommend them to every postpartum mama out there. When it comes to a herbal sitz bath, you can either buy a pre-made herbal bath mixture or try a DIY version. I have listed all the best herbal sitz baths from some amazing natural brands in this post. For all the DIY mama’s out there, I also have a herbal sitz bath recipe that helped me heal faster postpartum. Following the recipe below, you can make the herbal solution during your nesting period and keep it ready for postpartum. The herbal infusion itself lasts well in the fridge, and you can make it ahead if you want. The procedure itself is straightforward, you can even do it just before you are ready to get into a bath if you can spare some 20 minutes. I prefer making it beforehand, and ready to use, because performing even the simplest of tasks seems daunting during the postpartum period. Here are some of the herbs that have been used traditionally to soothe and heal postnatal wounds. 1.Witch Hazel Bark or Leaf (Hamamelis virginiana): Witch Hazel bark or leaf has natural astringent properties that calm down inflammation. Witch Hazel is touted to soothe hemorrhoids which many of us end up with after a lot of strain from pushing our babies out. 2.Yarrow Flower (Achillea millefolium) : Historically, Yarrow has been used by soldiers to stop the bleeding from wounds. Not only does it stops bleeding but it also has antimicrobial properties that prevent infection in the vaginal area. 3.Calendula (Calendula officinalis) : Calendula is a popular herb that is used in many salves, creams, and ointments. It is anti-bacterial, antifungal,anti-viral and anti-septic in nature. 4.Uva Ursi (Arctostaphylos uva ursi): Traditionally Uva Ursi is used to treat any bladder-related infection including Urinary tract infections (UTI’s). Just like Witch Hazel, it contains tannins, that acts as an astringent and helps soothe skin irritations. 6.Lavender: A great herb to include in your bath that can calm down all your senses. It is believed to be useful in treating anxiety, insomnia and depression. 7.Lemon Balm (Melissa officinalis): Lemon Balm is known as the calming herb. It is used to relieve stress, anxiety, promote sleep, and improve digestion. There are countless recipes you can try using the combinations of herbs listed above. You can follow the measurements listed in the recipe below and substitute with your choice of herbs if you want. The above recipe makes 3 cups of Herbal Sitz bath, which you can split into 3 muslin bags (1 cup each) . Alternatively, you can store the entire mixture in a container and use it as you need. I would just make sure to shake the container really well as the salts tend to settle at the bottom ( or add Epsom salts directly to the bath tub). Taking a herbal sitz bath is no different than taking a regular sitz bath. 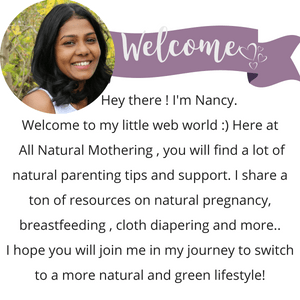 I have a detailed post explaining how to make a sitz bath and some specific tips on how to take a sitz bath after postpartum. You can refer to it here. The only thing you will do differently while taking a herbal sitz bath is infusing the herbs. Even though I call it herbal “tea”, please don’t drink it. It is more like a herbal decoction or tincture for the perineum. Here is how to make the herbal tea for the perineum. Place the herbs in a container and fill it with hot water. Make sure all the herbs are soaked well. Let it sit for at least 20 minutes. You can leave it overnight for more medicinal benefits. Strain the liquid and store it in the fridge. Or you can add the infused liquid directly to the bath. If you are infusing the herbs, do not add Epsom salts to it. Add Epsom salts directly to the tub. Place the herb mix inside this muslin bag and tie is secure. You can drop the bag directly in the bath tub when you are filling the tub. Alternatively, you can soak the bag in a cup of hot water for 20 minutes and add the liquid to the bath. You can even throw the herb bag to the bath water for additional steeping while you are in the bath. Please do not add herbs directly to the tub, unless you like leaves sticking to your lady parts and have enough time on your hands to clean up the tub. You can use this Herbal Tea mix as a peri-solution by filling it in a peri-bottle. You can use the same mix to make postpartum padsicles. If you are a busy mom who doesn’t have the time to put together a DIY version, then buying these ready to use herbal sitz bath is a great choice! These also make a great postpartum gift for a natural (or any) mama. Earth Mama is a very popular natural organic brand that carries some amazing breastfeeding and postpartum products. Earth Mama products are made in the USA and the sitz bath itself is formulated by a nurse and herbalist. Made with carefully picked 100% USDA certified organic and Non-GMO herbs. The pack comes with six individual herbal sachets that are perfect for single use. You can either drop the bag in the bath directly or steep the tea in a cup of hot water and add it to the tub. I would recommend infusing the herbs with hot water for at least 20 minutes to reap the medicinal benefits of the herbs. The Birth Song Botanicals Postpartum Bath comes with a mixture of powerful herbs like yarrow, plantain, sheperds purse, Uva Ursi and Calendula. The package comes with a reusable cotton bag which you can use to steep the herbs. All the herbs are organic or wild-crafted. For sitz bath in a bath tub, you can use half or one-third of the package. For over the toilet sitz baths, you can use 1/8th of the whole package. Make sure to shake the pack well before taking the herbs out as the denser/heavier ingredients (like sea salt) could settle down. 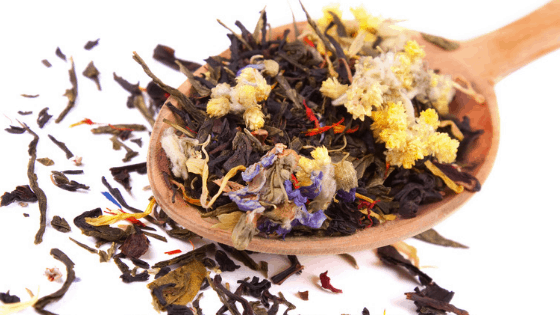 Birds and Bees Teas are committed to helping women take care of themselves and their families naturally. I love that their herbal sitz bath comes as a pack of 4 or 8. I will highly recommend getting the 8 pack because once you experience the benefits of herbal sitz bath, you simply can’t stop taking one. Each sachet contains with high quality organic herbs like Marshmallow Root, Witch Hazel bark, Uva Ursi leaf, Yarrow leaf, Chamomile flower, Lavender flower, Chickweed leaf and Calendula flower. If you are pregnant or know a friend who is nearing the due date, pick a herbal sitz bath or make one using the recipe above. I cannot stress on all the great benefits you can get using a herbal sitz bath. If you are not so convinced about using herbs, then take a look at this post where I share a very simple sitz bath recipe. Have you tried a Sitz bath? Let me know in the comments below how you liked it. 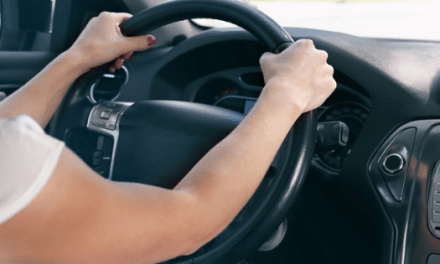 Pumping While Driving – How To Do It Right! Help! 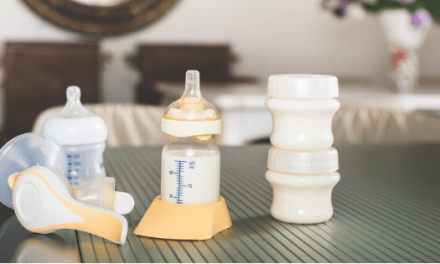 How Long Can Breast Milk Stay Out?